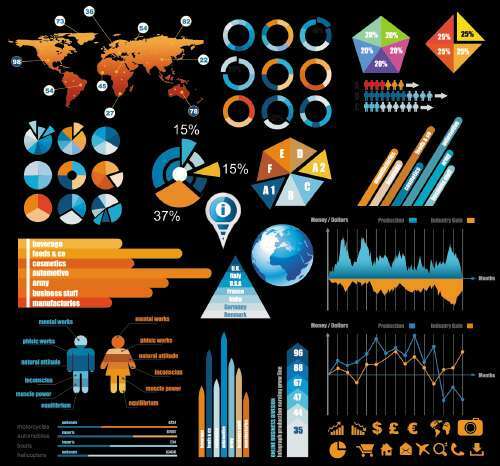 Today’s post is about 25 Most Inspiring Free Vector Infographics Kits. 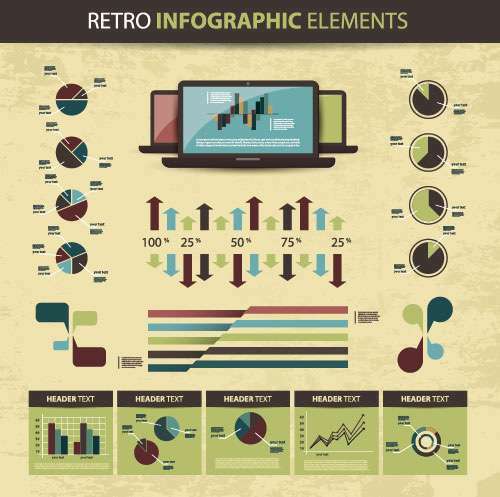 Information graphics or infographics are graphic visual representations of information, data or knowledge intended to present complex information quickly and clearly. 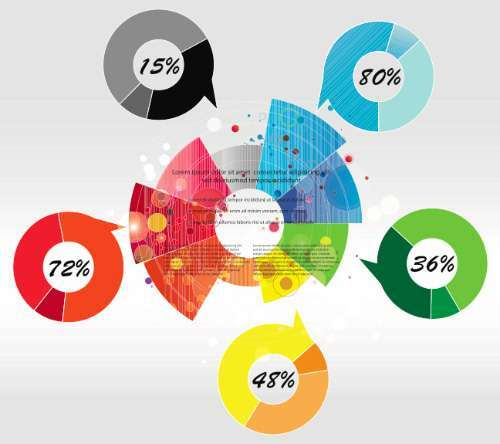 They can improve cognition by utilizing graphics to enhance the human visual system’s ability to see patterns and trends. 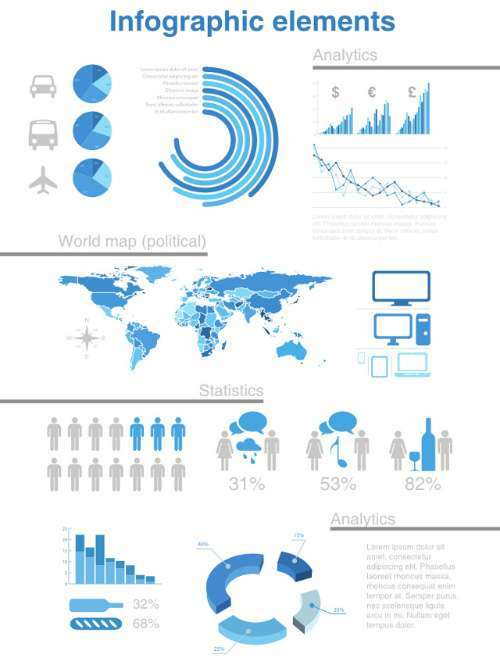 The process of creating infographics can be referred to as data visualization, information design, or information architecture. 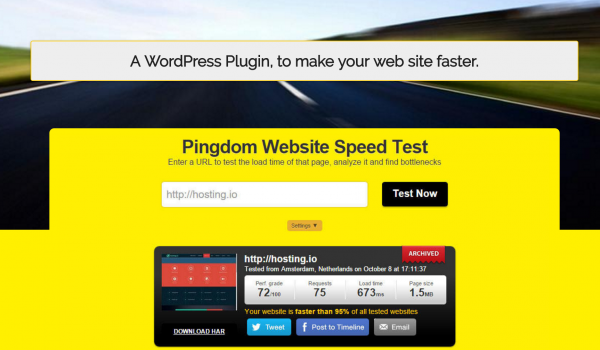 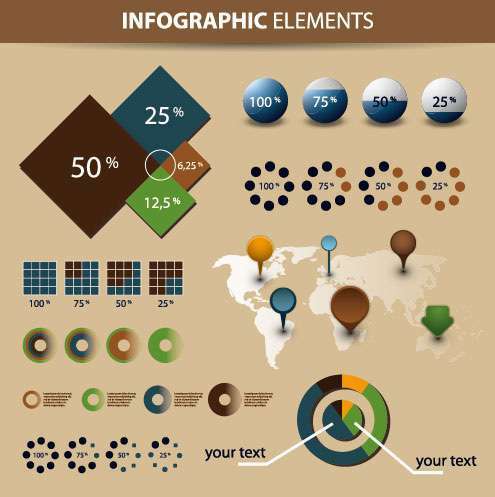 There are some tools by which you can make your own infographics. 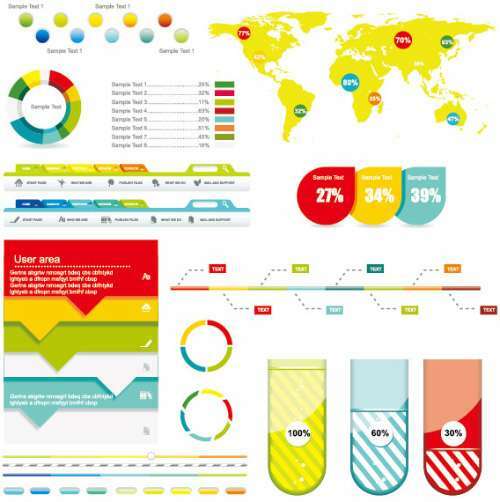 Freakify brings some templates and vector kits which will help you to design your own infographics. 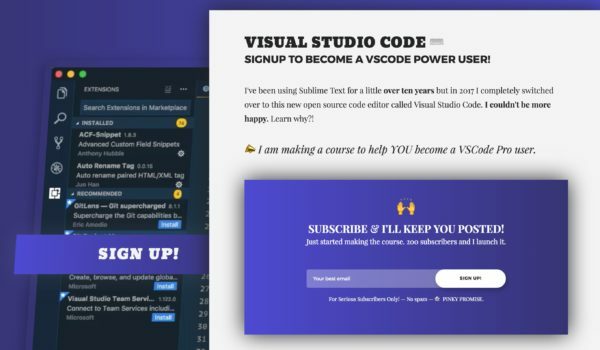 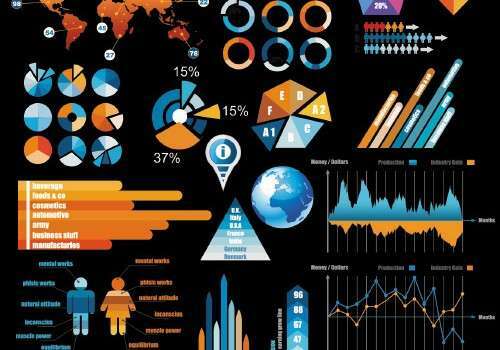 The visualization of data is made a lot easier when you can play around with these ready-made elements, mostly available in vector and Photoshop format. 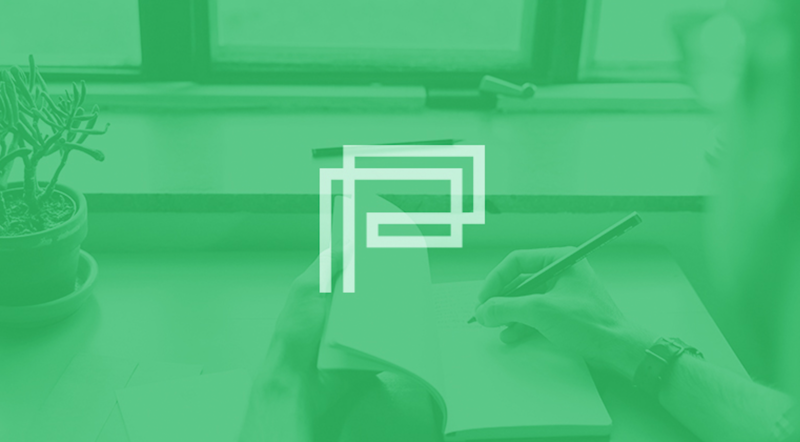 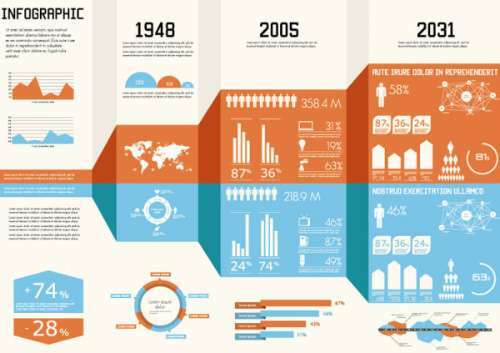 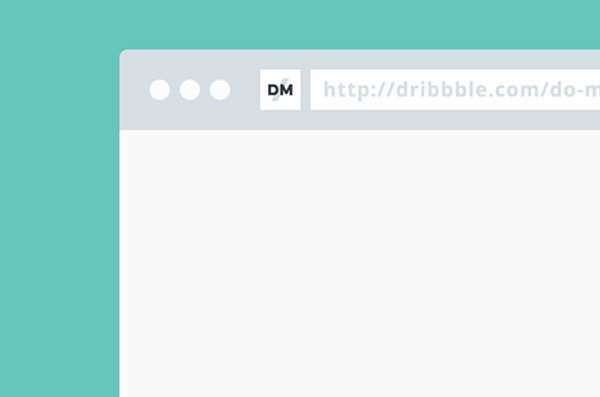 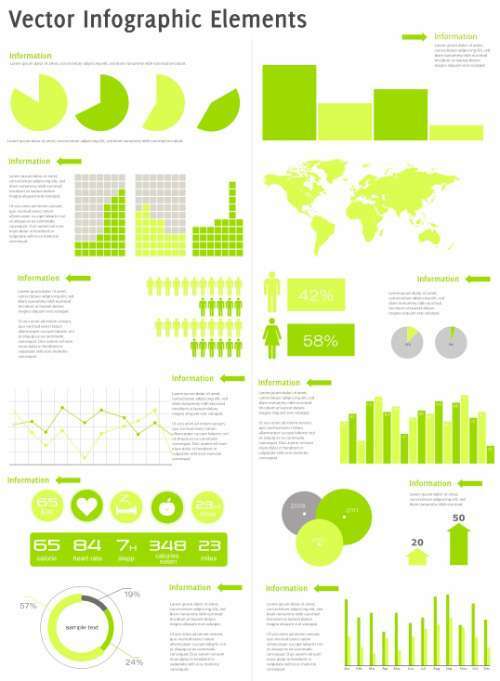 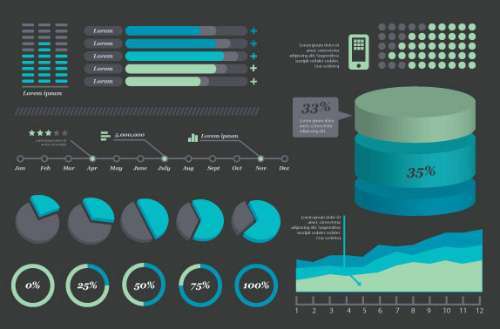 These are great design kits for you to start fiddling around and build your own infographics. 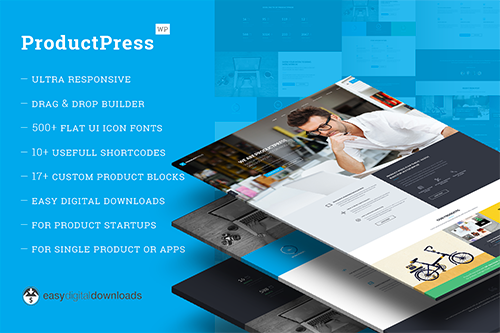 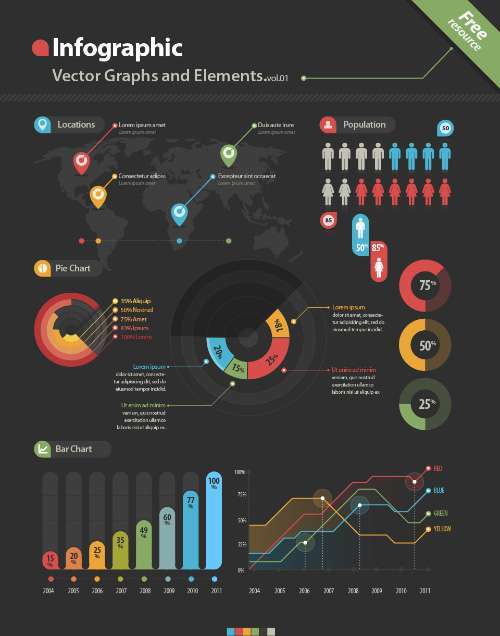 The elements in the vector kit can be used for personal and commercial purposes. 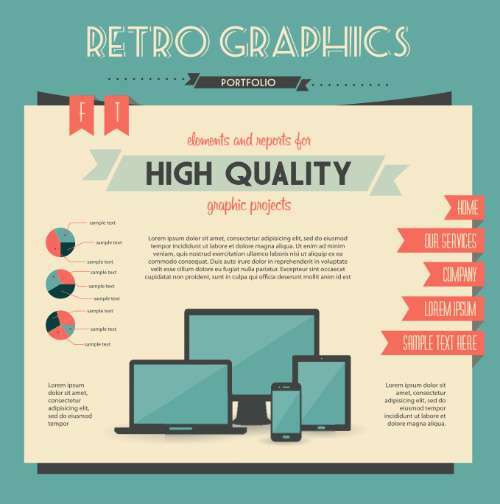 The file cannot be redistributed or sold in any shape or form. 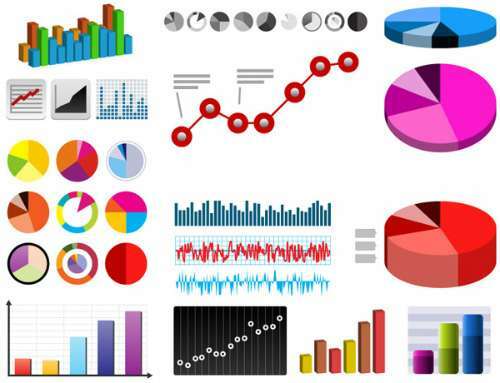 Included in this set is a world map, gender elements, as well as multiple pie and bar charts. 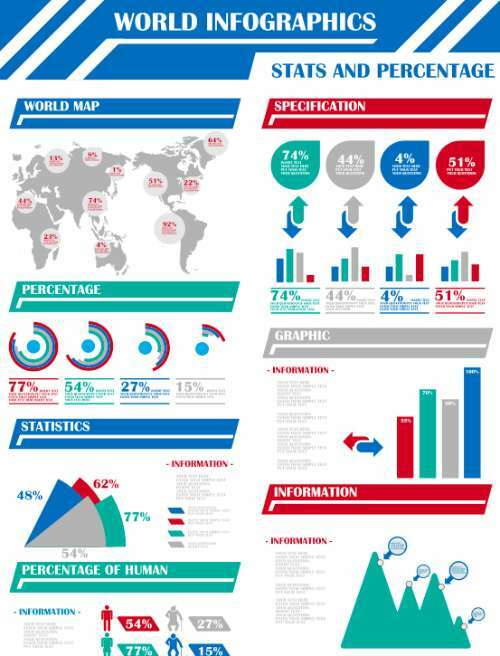 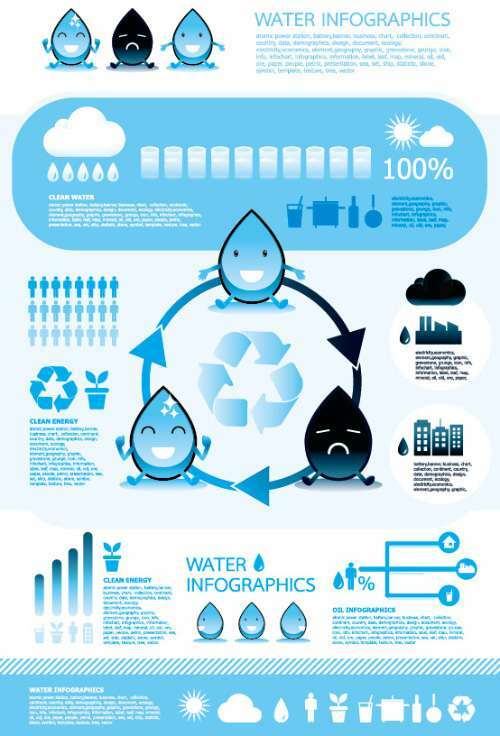 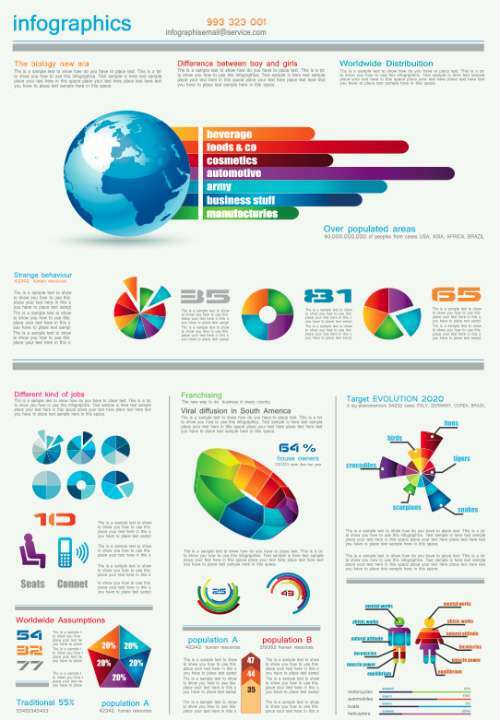 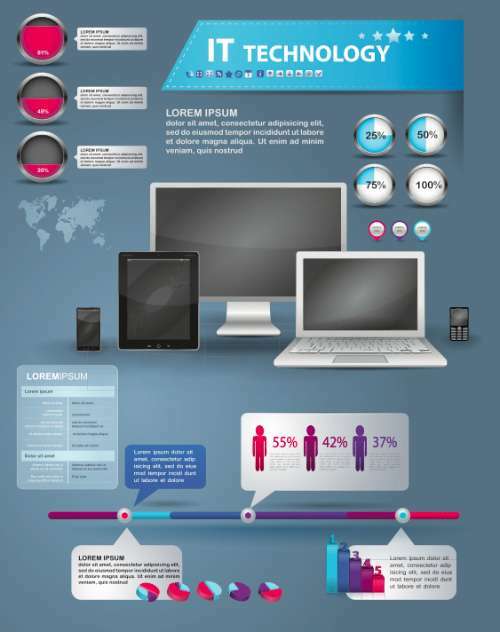 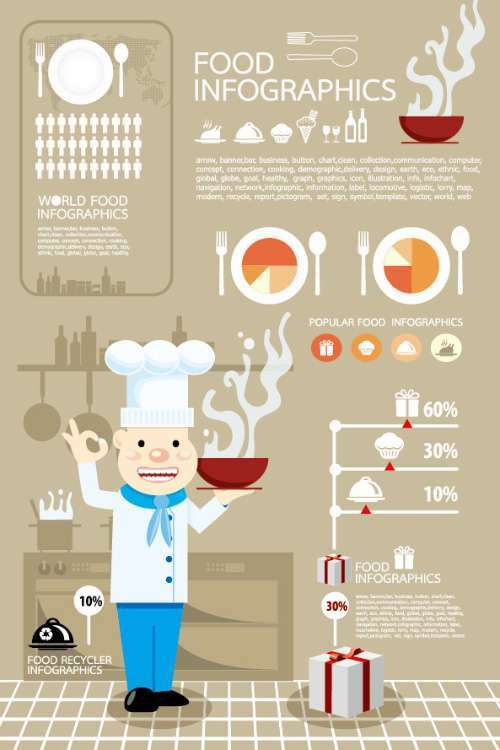 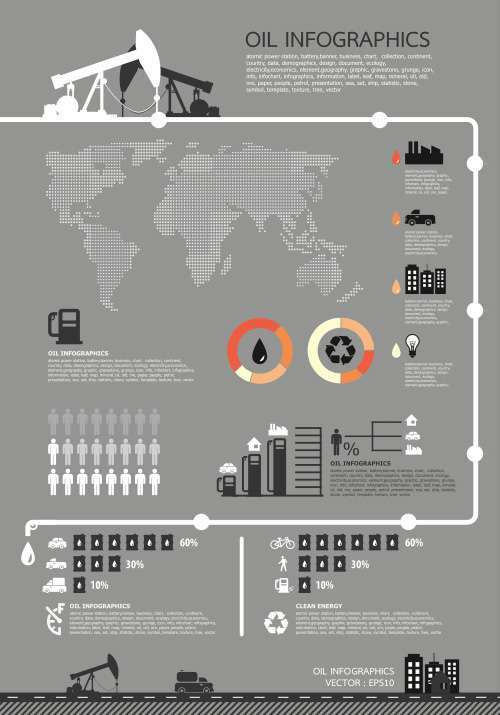 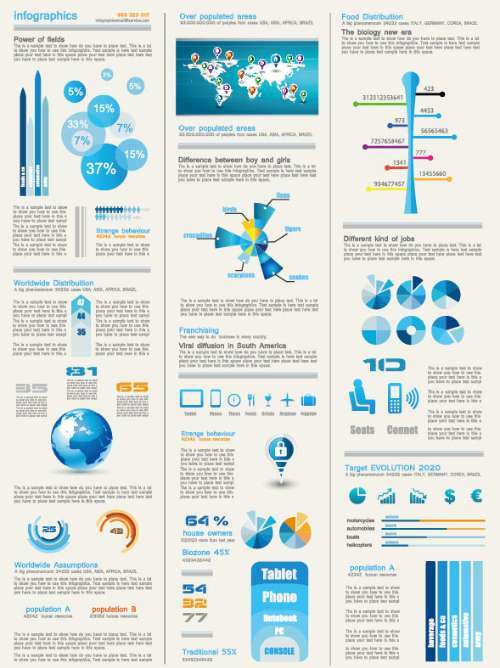 You can easily combine and modify all the elements to create a distinctive infographics. 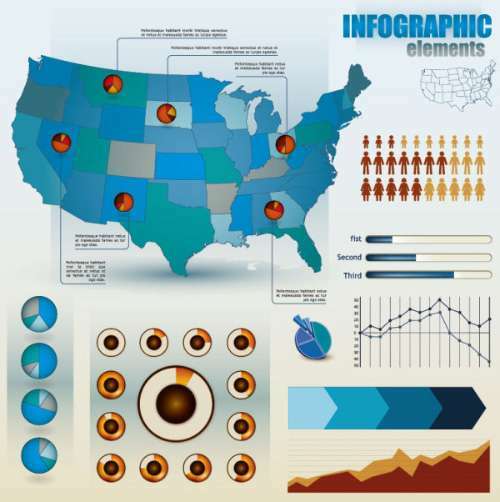 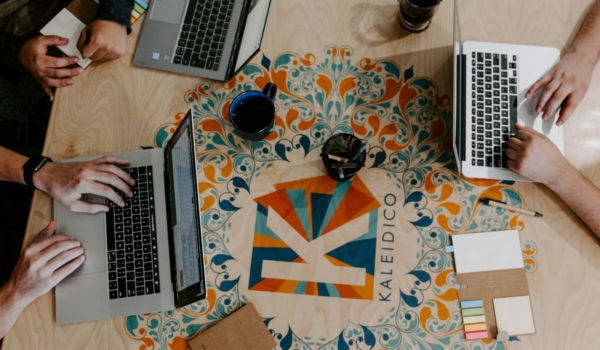 Infographics have been around for many years and recently the proliferation of a number of easy-to-use, free tools have made the creation of infographics available to a large segment of the population. 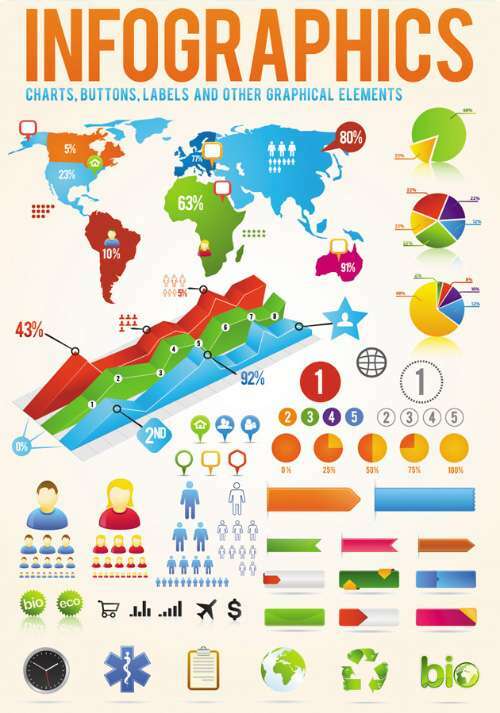 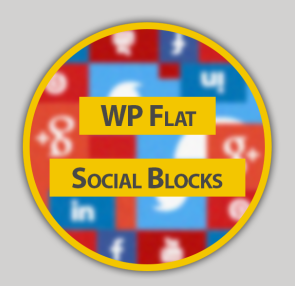 Social media sites such as Facebook and Twitter have also allowed for individual infographics to be spread among many people around the world. 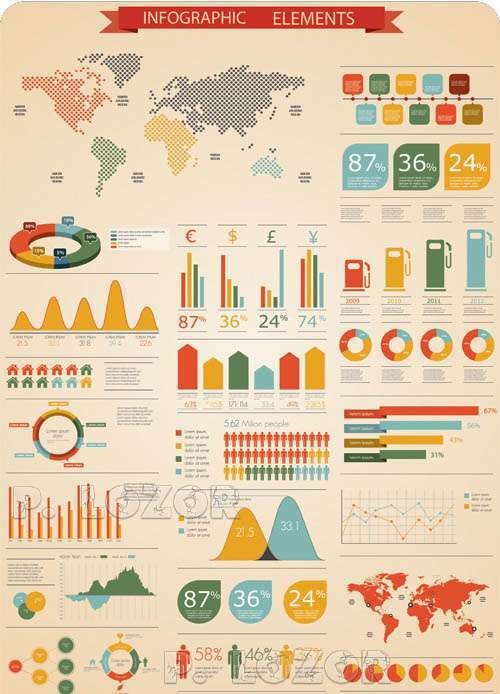 Apart from this list you can even see Inspiring Collection of Top Infographics 2014.